It’s by far the best in its league. I wouldn’t invest in any other Quickcoupler on the market. As we’d said from the start, and Dave agrees with me, it’s simply the best available. 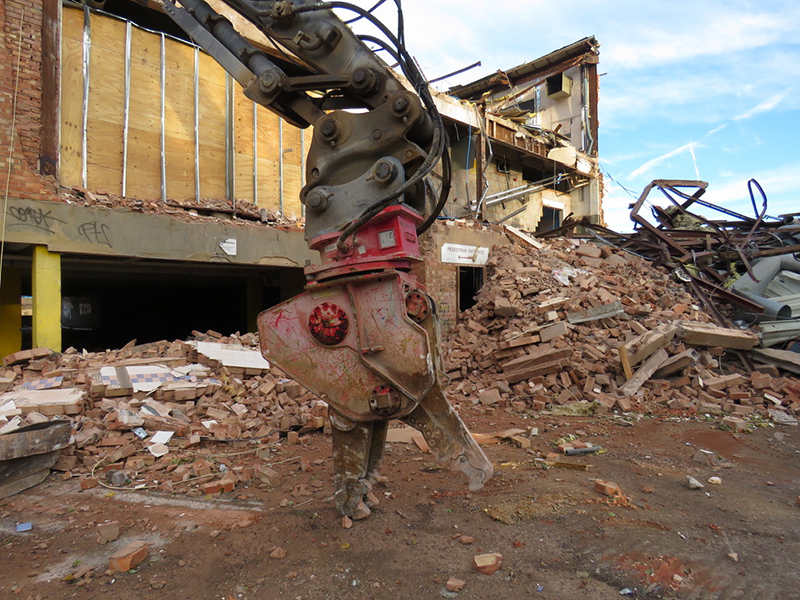 The Best Quickcoupler on the UK Market NOW matched with the right demolition attachments for the job from Rotar! With an upgrade to Lehnhoff Series 2 and new Rotar attachments added to their fleet, Liston Group have strengthened their position as one of the leading contractors in the Midlands. 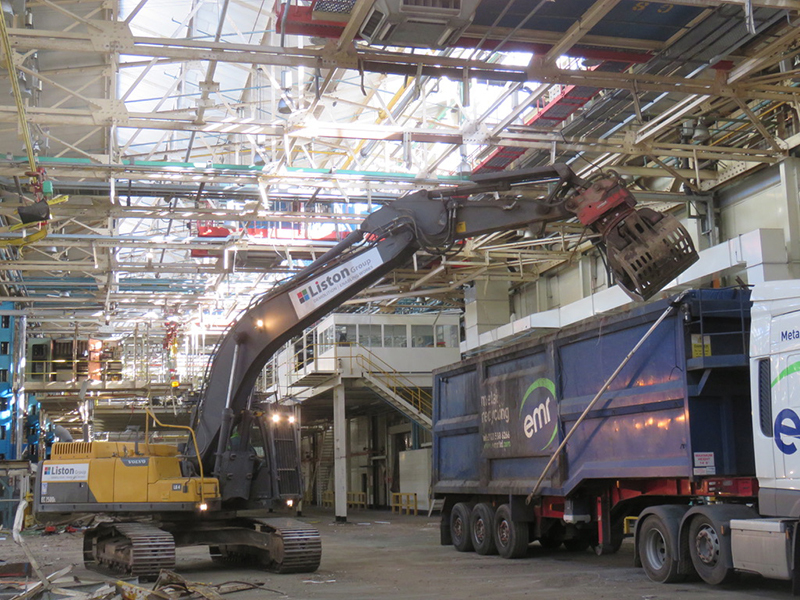 Established for over 10 years and offering a range of demolition and related services to their clients, they are one of Worsley Plant’s key customers, having invested in a wide range of demolition equipment over the last five years. I went to see our kit in action at a former Rover car production plant on the outskirts of Birmingham. Listons had been tasked with putting the factory back to its original build. 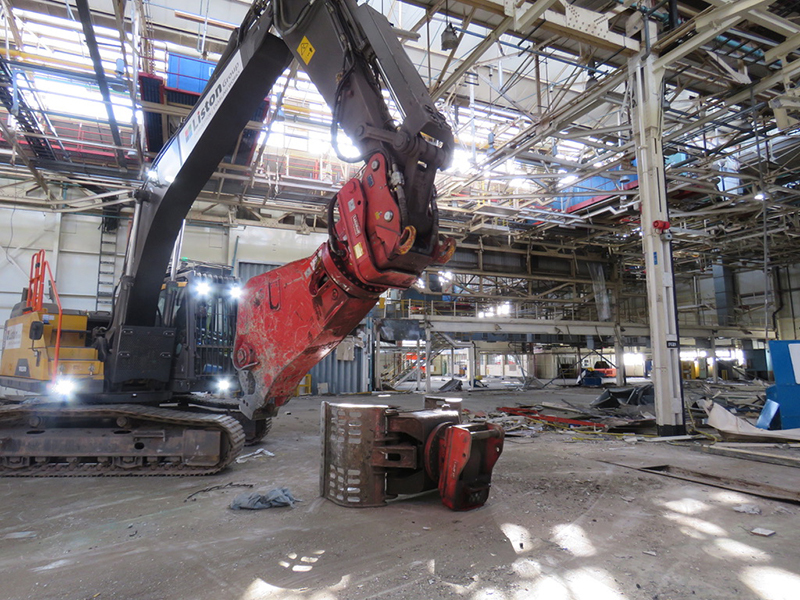 This involved removing track and additional steel tanks and asbestos. They needed to clear the steel and general waste with all the steel being recycled. The whole project was expected to take 4 months. 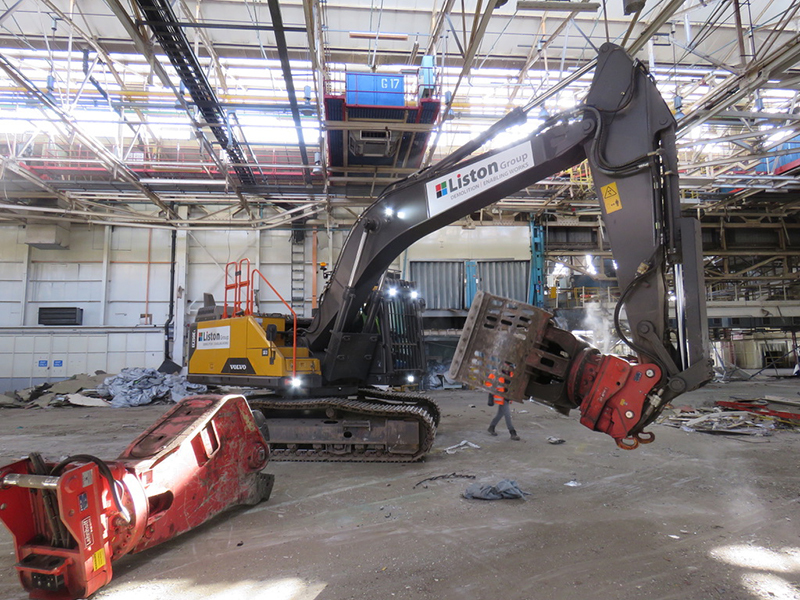 On site Listons were using two Rotar RSS20 Scrap Shears, two RG Grabs and have three Lehnhoff Quickcouplers in action on 3 machines. Dave Murphy, Site Manager says: “The Rotar kit is strong and reliable. It’s ideal for this type of work – it’s market leading kit. Lehnhoff really is simply the best. It allows us to change between the different Rotar attachments in less than 15 seconds and it’s safer for our drivers. 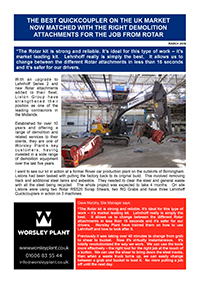 Worsley Plant have trained them on how to use Lehnhoff and how to look after it. Previously it was taking over 40 minutes to change from grab to shear to bucket. Now it’s virtually instantaneous. It’s totally revolutionized the way we work. We can use the tools more effectively – the right tool for the right job at the touch of a button. We can use the shear to bring down the steel tracks, then when a waste truck turns up, we can easily change between a grab and bucket to load it. No more putting a job off until the next day. No longer is the excavator and driver idle during changeover – this is saving us time and money, as it now just takes one person to do the job. It’s definitely been worth the investment. Earlier that day I also visited another Liston’s project in Stirchley – a former 1st Bowl and Fitness First Gym. It has been derelict for some time but the site is eventually going to be housing a new Lidl supermarket. With a live electrical substation on site and asbestos in the old building it wasn’t going to be an easy job. Listons have a new Volvo EC380 HR on site, which will shortly be fitted with a Lehnhoff. All Liston’s Volvos have Lehnhoff fitted. Recently all their Lehnhoff have been converted to Series 2 with Lehmatic Safety Control – the pinnacle of quickcoupler safety.